By becoming part of the TC family you open your stable to a number of exciting marketing channels. Our existing trainers are already realising the advantages of being associated with the Trainer Connections brand via a number of opportunities to market themselves and their training operations. To ensure Michael Costa had a professional presence online, Trainer Connections worked with him to have a website designed and developed that fit his brand and message. The website has been a major component of New Breed’s marketing efforts. Trainer Connections runs video marketing campaigns across multiple mediums. Whether it be a campaign to attract owners to our network of trainers or catered specifically to an individual stable, we have a number of solutions to make video work effectively. Our active Facebook and Twitter accounts provide our followers with up to date information on our trainers and their current activities. When horses are available to syndicate, we use social media to promote to and gain feedback from potential owners. Trainer Connections has experience in the strategy development, creation and execution of TV and radio campaigns across the major industry channels. When suitable, Trainer Connections can produce and deploy print media campaigns in the major industry publications. 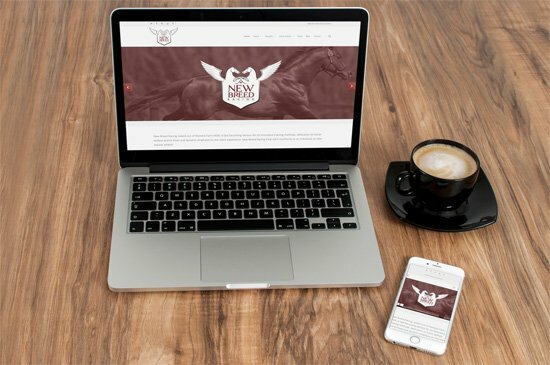 Having a professional website is a must when promoting your stable. Trainer Connections assists trainers through the process of designing, developing and maintaining stable websites so that your brand is effectively marketed online.